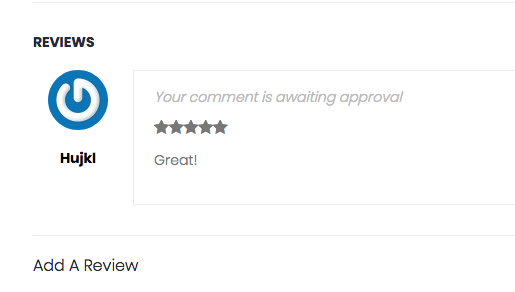 I am ussing default comment system and I have set, that reviews must be approved from administrator. The concern is, when a person wants to leave a comment and clicks “Submit Comment”, there is no message that the comment is pending approval as I have seen in some – see the attachment. I have read that this is a function, that is part of WordPress but its behavior is controlled by the theme … Is it possible to include this with some settings in your theme?